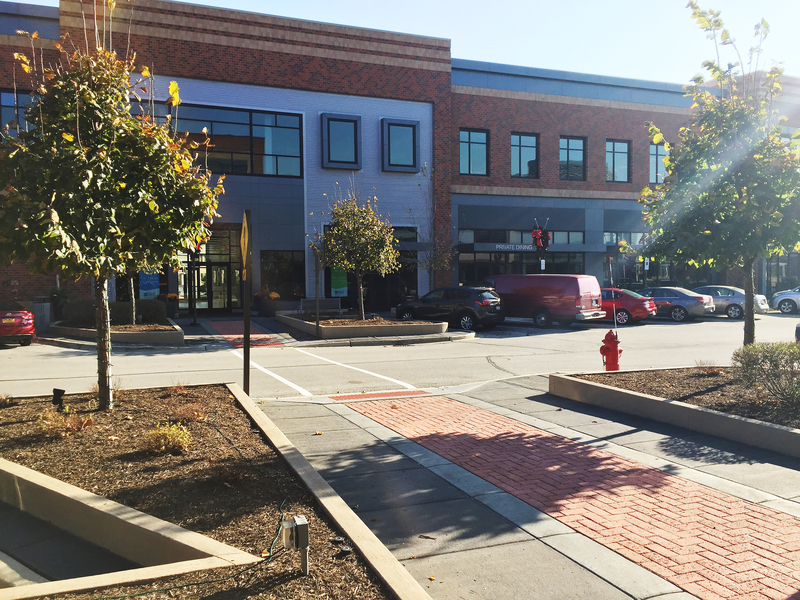 Randhurst Village was designed to accommodate pedestrians and motorists with variegated paving and landscaping for pedestrians and angled parking for motorists. 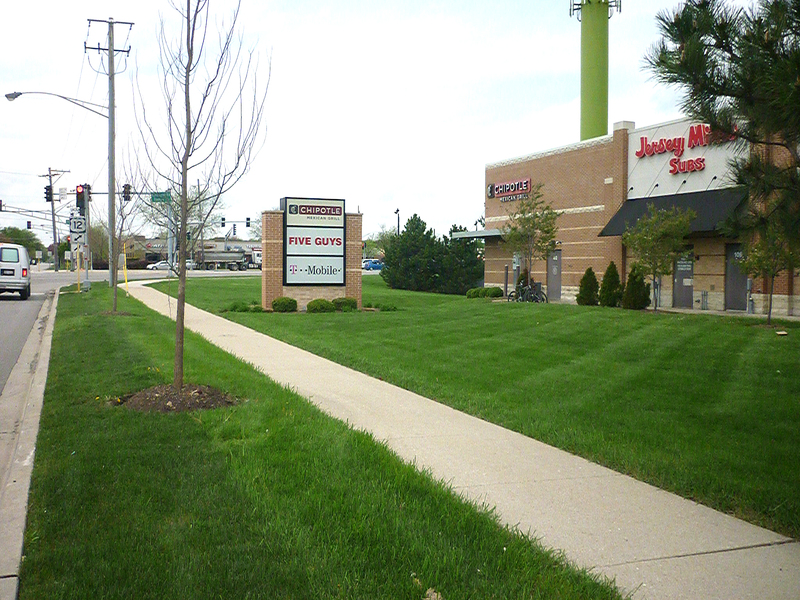 Businesses along the Rand Road corridor benefit from high visibility with rear facades, but are challenged by low accessibility and complicated roadway circulation patterns. 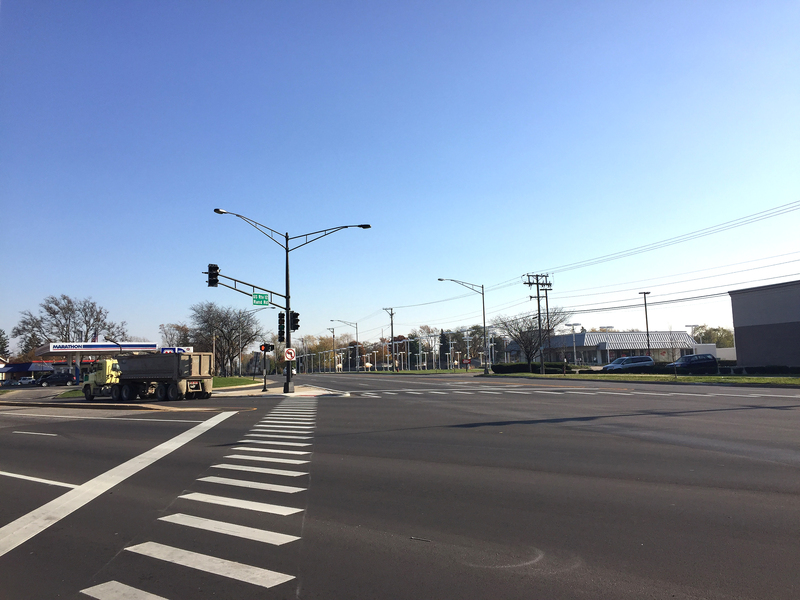 This plan will study circulation patterns, including access to nearby activity centers (such as this left turn only lane leading into the Kensington Business Center at Rand Road and Business Center Drive). 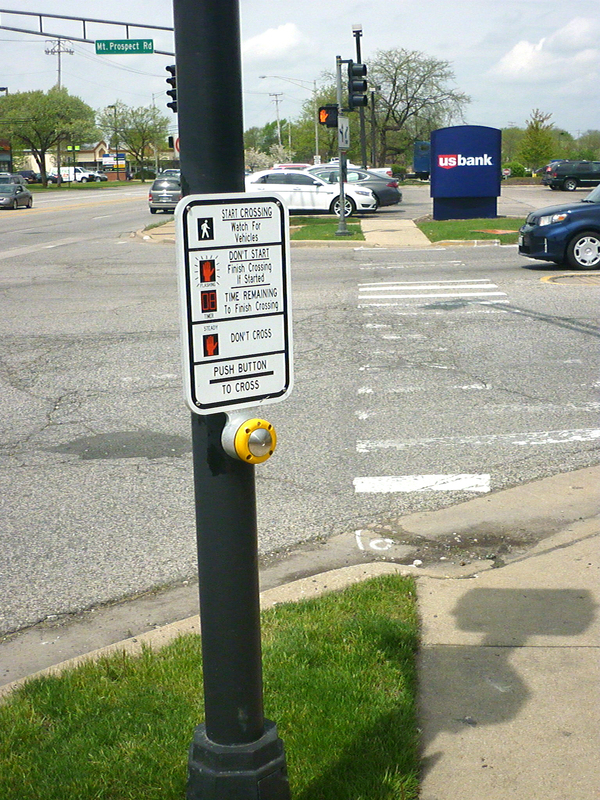 Pedestrian amenities, such as this crosswalk signal at Rand Road and Mount Prospect Road, are helpful but inconsistently incorporated throughout the entire corridor. 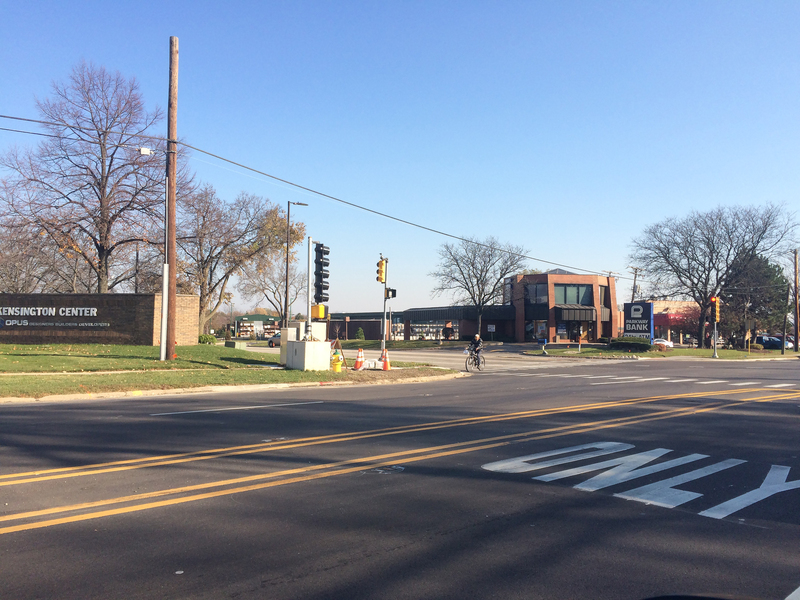 The intersection of Rand Road and Central Road at the southern edge of the study area involves the intersection of two four-lane roads, making crossing difficult for pedestrians.